So I know I do a lot of weddings. However, there are other things in life. Basketball is one of them. As many of you know, I was asked to be one of the photographers working with U of K Athletics. Besides going to the games, I get to photograph these guys at the home games. I jump at the chance to photograph anything, especially sports. So it is needless to say I love it. 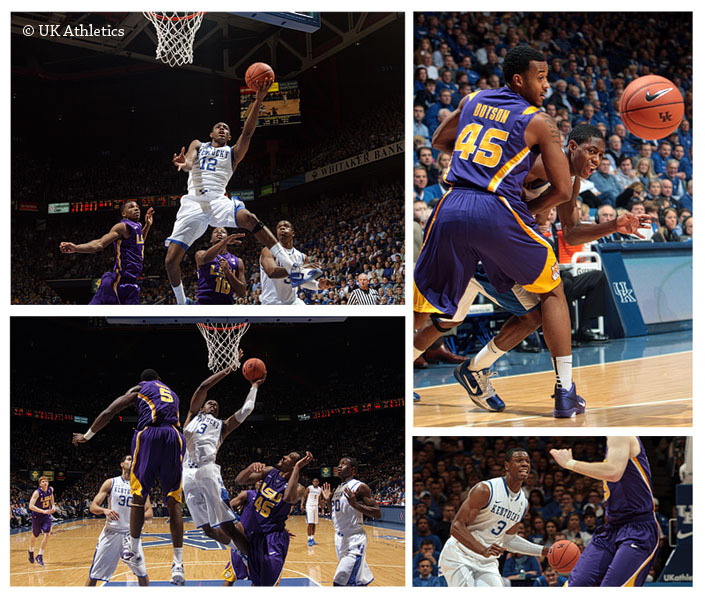 Here are a few from Saturday’s game against LSU. Wasn’t much of a game as UK won 82 to 44. However, it was cool to see 5 UK players score double digits. By the way, cuddos to the Cards for their comeback win over Marquette, 71-70. What a game.